What does UNESCO mean anyway? J asked as we were rumbling through the scenic roadways towards the town of Santa Maria; our goal, to visit the UNESCO-stamped Santa Maria Church. Surprisingly, none of us knew the answer. We knew that it is one of the governing bodies throughout the world that says which site is of world heritage quality, sort of like the Oscars of the tourism world, but we have no idea what the acronym stands for. 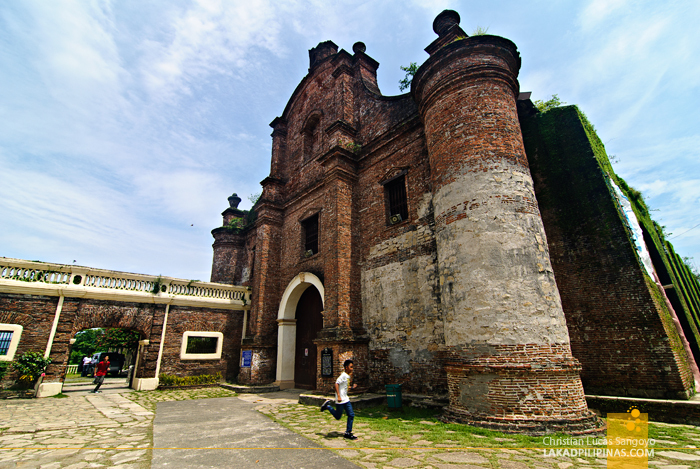 I’ve always wanted to visit the Santa Maria Church in Ilocos Sur, but I remember reading that it’s a bit out of the way from the usual Ilocos tourist places. Without a car to get around, visiting it usually took a backseat towards the more popular spots in the region. But this time, with the help of Hotel Felicidad in Vigan, we were provided with a van and was given free reign on where to go. Santa Maria Church was the first thing that popped in my head. At long last! 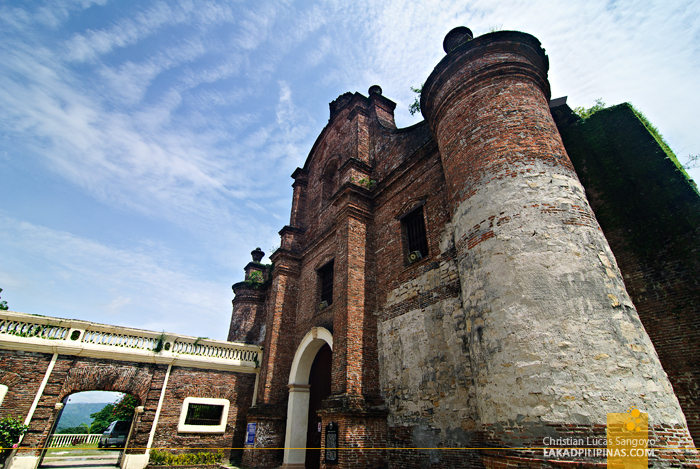 The church, as I mentioned previously, is part of the UNESCO World Heritage Site. 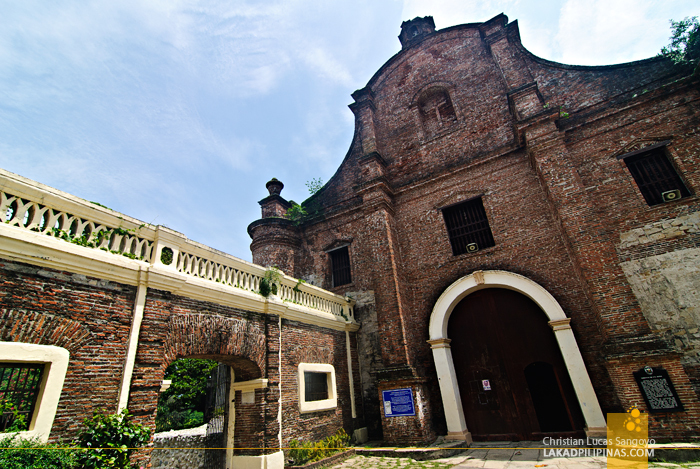 Being one of the four Baroque Churches in the Philippines listed under the prestigious title. 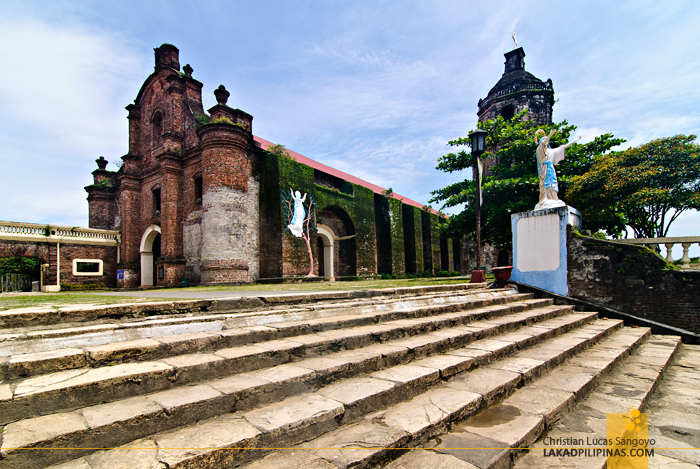 The other three, Paoay Church, San Agustin in Intramuros and Miag-Ao Church in Iloilo, I have been to before. This is the last piece of the puzzle. Surprisingly, Santa Maria Church it turns out, is not that hard to get to. From Vigan City, one can board any Manila-bound bus and alight either at its front or a tricycle away, depending on the route the bus takes. By van, it took us an hour or so to reach it. 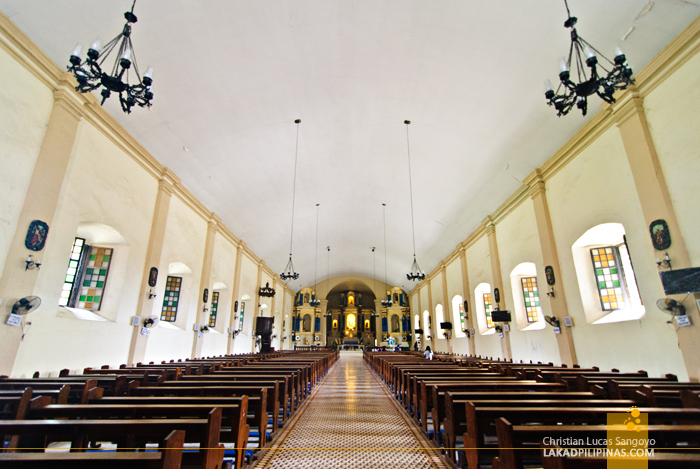 Unlike most colonial churches, it does not sit on a town square along with the municipal hall, but rather, it stands on top of a hill overlooking the whole town. To reach it, we went up eighty-five steps made from granite under the blistering midday sun. Panting and grunting, we eventually reached the top and stood marveling at the edifice before our eyes. Santa Maria Church does not look like the usual Spanish Era church we’re accustomed to. Yes it is made of bricks, yes it does look old, yes its belfry stands separate from the structure, yes, it has massive buttresses. But what about those two massive circular thingimajigs on its facade? Those thingimajigs it turns out are buttresses, shaped differently from the other thirteen normal ones found on its sides. 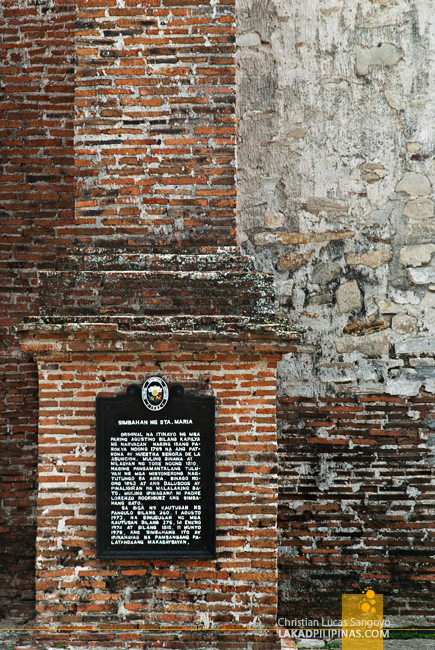 Construction of the current Santa Maria Church was started in 1765, but prior to that, a smaller chapel located at the foot of the current edifice was the town’s main house of worship. 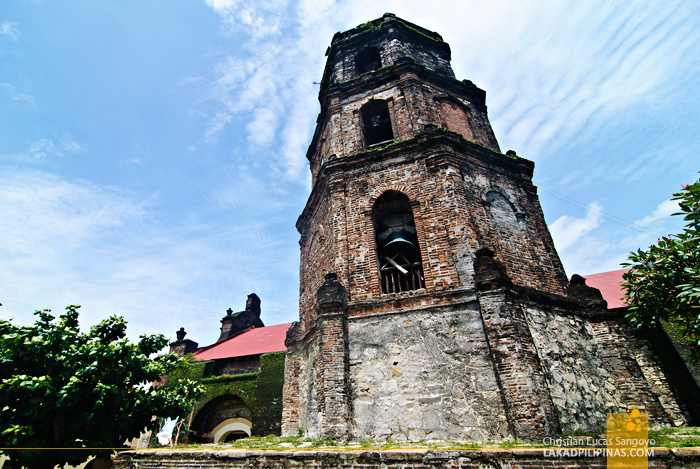 The freestanding belfry was added forty-five years later, its bell coming a year later. Inside, besides the barreled ceiling, its interior looked quite normal; plain painted walls, unassuming stained glass designs on windows, simple chandeliers. Nothing really stands out until you look at its floor. 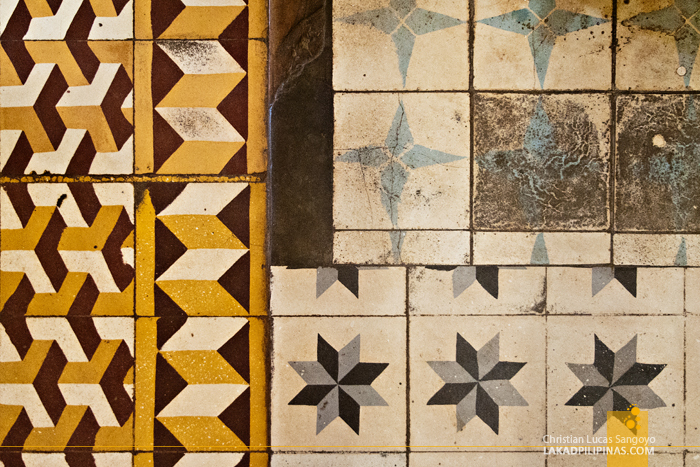 Santa Maria Church’s tiles, I assume are similar to the ones in Vigan Cathedral; Baldosa tiles which are prevalent in the region. Its design is hypnotically three dimensional and the style, quite varied. Like some old churches I’ve been to, its pillars are also patched with gravestones from bygone eras. 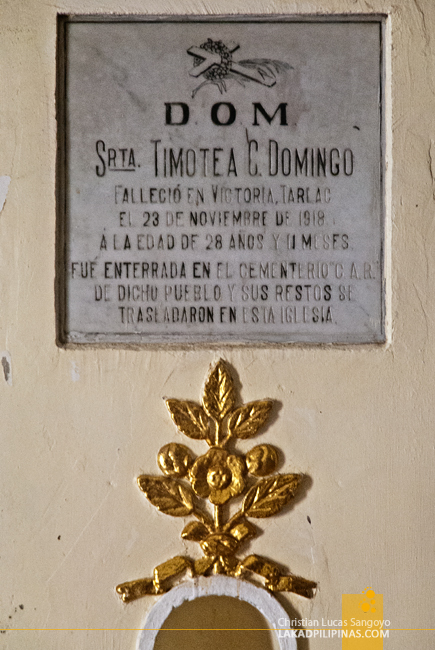 They’re so old that not a few of them are engraved not in the usual English or Tagalog epitaphs, but in Spanish. 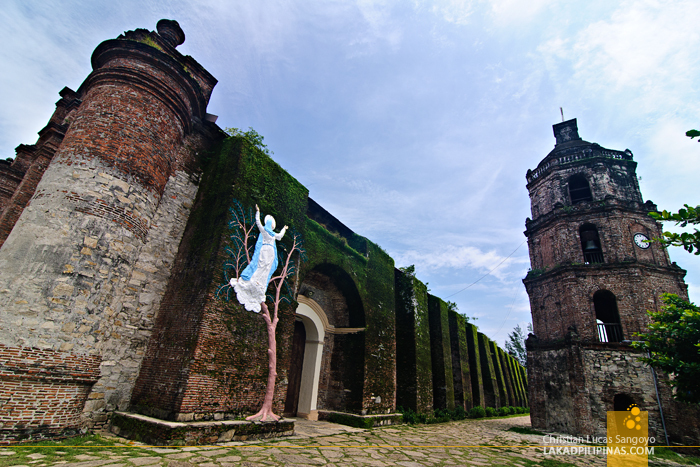 Besides the UNESCO title it holds, Santa Maria Church also houses the image of Nuestra Señora de la Asuncion; a statue found from a Spanish wreckage during colonial times. 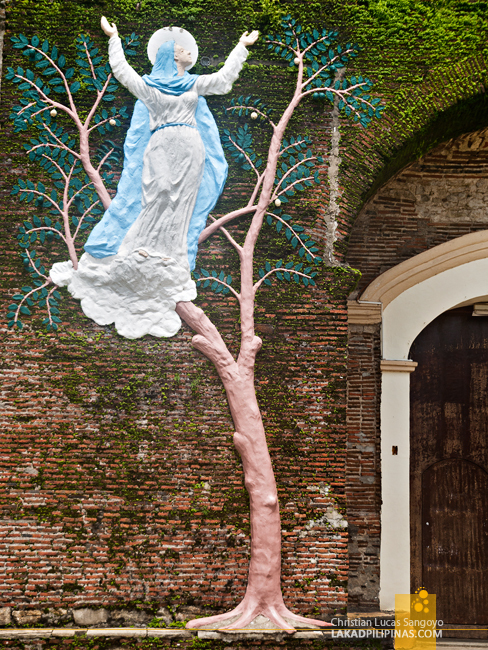 The story goes that the Virgin was first enshrined at the old town church, but oftentimes, it would disappear and would be found on a guava tree where the present church is now located. Because of the legend, a relief showing the Virgin sitting on a guava tree can be seen from one of the outer walls of the church. 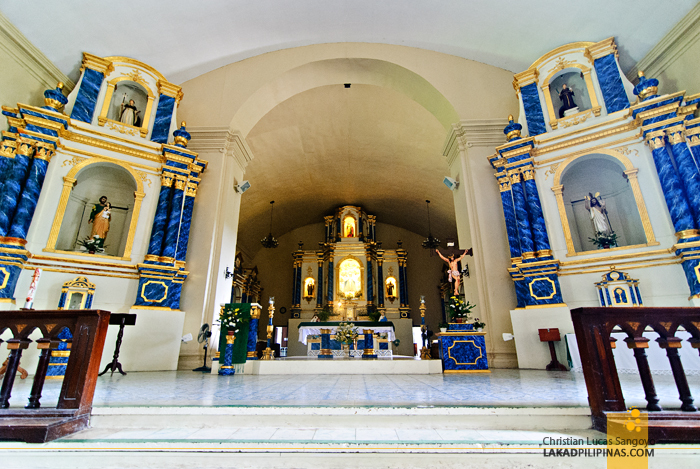 While I love everything about Santa Maria Church, this one I abhor. It’s simply too gaudy and out of place with the old-world feel of the church. 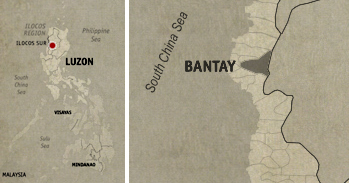 On our way back to Vigan City, I finally turned to Google to answer the burning question; what does UNESCO mean. Well, the answer came and I was unimpressed with what the acronym stands for. It’s just a mix of high-sounding and gravely official words. The places it picks to be included in its list though; well, that’s another matter. Just scroll back up and see for yourself.